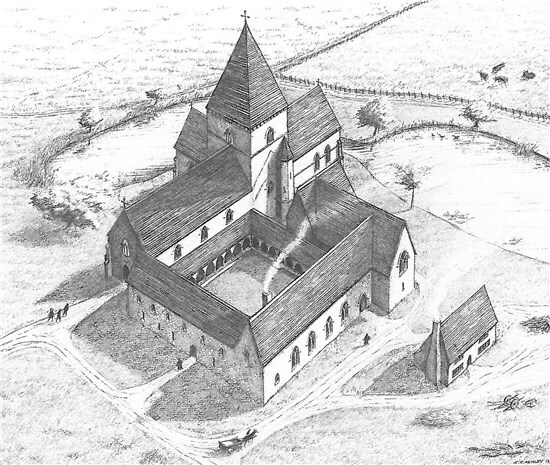 The Priory of St Mary was founded by Margery de Cressy in 1216 for a small community of four canons. The canons were ordained priests that followed the rule of St Augustine and belonged to the Order of Peterstone, a small and somewhat mysterious Norfolk-based religious order. One of their important roles was to act as parish priests for nearby churches. 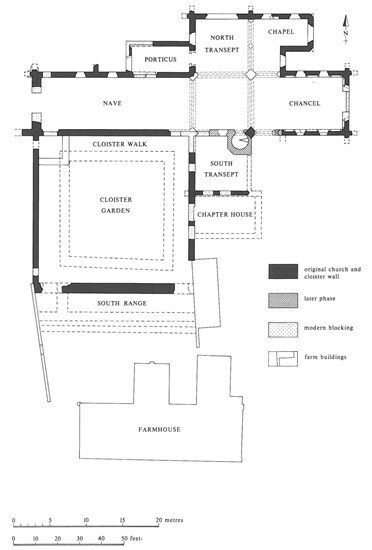 The Priory was closed by Henry VIII in 1536. It was stripped of all valuables and then used as a source of building materials. 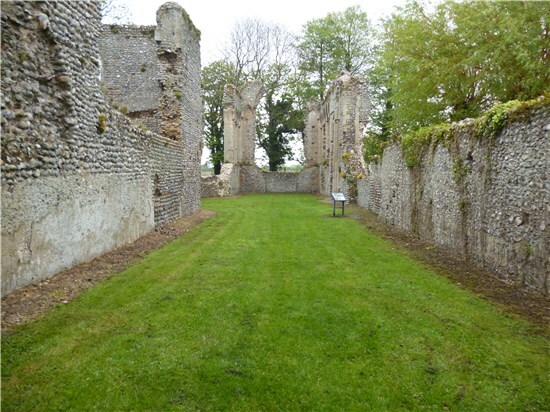 We are lucky that so much of the Priory church survives as ruins; this is because it was converted into farm buildings soon after its abandonment as a religious building. 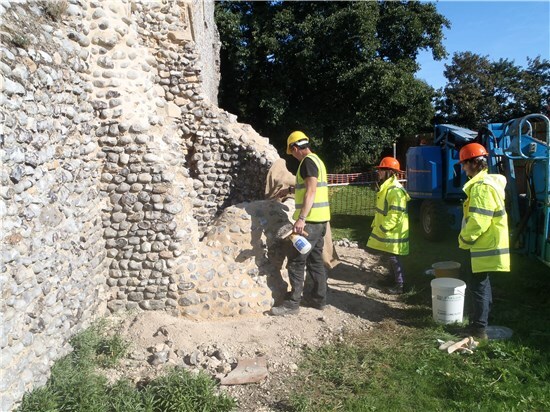 Conversion also ensured the survival of important 14th century arcading in the chancel and the earliest medieval bricks in their original location in Norfolk. 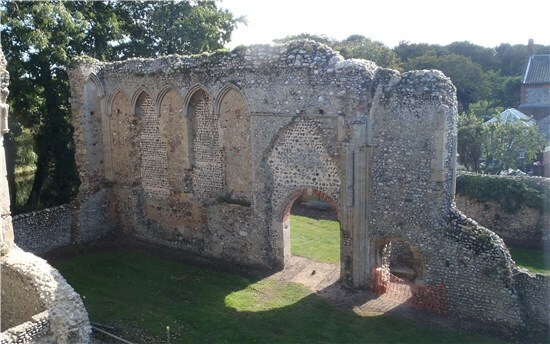 The ruins of the church are owned by the Norfolk Historic Buildings Trust and managed by Norfolk County Council’s Monuments Management Project. They are regularly monitored by the project, volunteers and Norfolk Constabulary. Repair works were carried out in 2013 and 2014 and more are planned in the future. The ruins of the church are open to the public during daylight hours throughout the year (but are closed between dusk and dawn). They are close to Beeston Regis Common and The Priory Maze and Gardens, with finger-post signs providing directions from the A149. Although Norfolk County Council wants you to enjoy visiting the ruins of the church, please do take care as historic ruins can be dangerous. Children must be supervised. Dogs are allowed on leads, but all mess must be removed. Causing damage to the ruins is a criminal offence; police regularly patrol the site. Climbing, camping, metal detecting, removal of building material and commercial photography are prohibited.